With the regular season rapidly coming to a close, Baseball cards of all stripes and colors have been coming out of the woodwork. Over the past several weeks there have been five different card releases by Topps. Now, I show off a new card set from a non-licensed competitor known as Leaf. It is called 2015 Leaf Metal Draft, and as the name implies it focuses on prospects and recent draftees. It's a high-end set were every card is autographed, and four top-flight Dodger prospects are included in it. Check them all out below. Go here for a complete checklist. 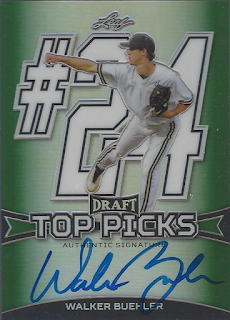 Of note, recent Cuban signee Yadier Alvarez is in the set. This is his second card available in the marketplace - Onyx produced a card for him earlier this year. 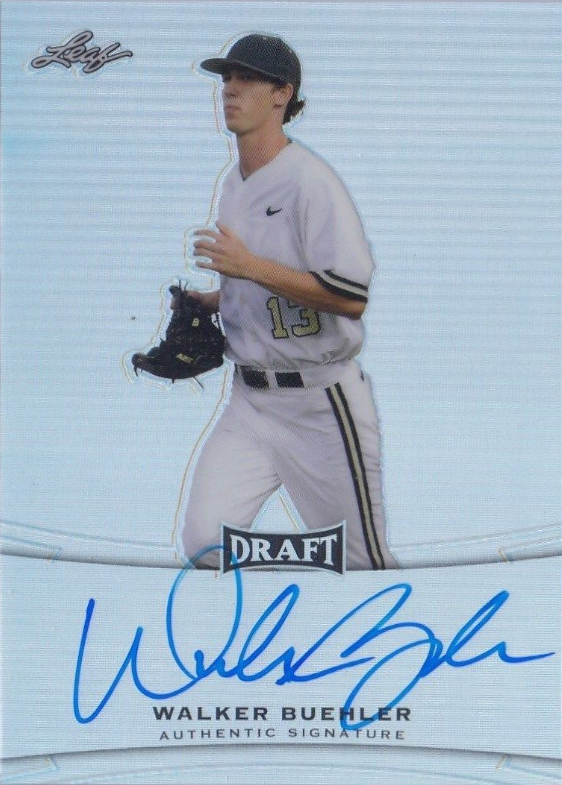 Also, the Dodgers 2015 1st round pick (24th overall) Walker Buehler receives his very first Baseball card. In fact, he has two different cards in this set.